Not very long ago the only way you could remove all the old fluid in an automatic transmission was either. A) Repeatedly drain and refill until the system was clean. 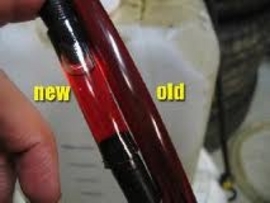 This was somewhat ridiculous because it took countless times of draining refilling and then driving the vehicle so the old fluid could mix with the new fluid before it became clean. This process wasted a lot fluid time and money. Another way was the most obvious. B) When the transmission needed to be repaired or replaced. The transmission flush machine is also called a fluid exchange machine. Its primary purpose is designed to prolong transmission life by removing 100% of the old depleted fluid. The process is very similar to a fluid transfusion. Today's computer controlled automatic transmissions operate under extreme conditions. They require routine inspection of their fluid to ensure proper operation. 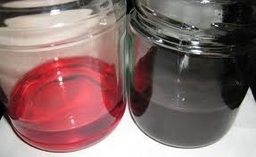 Fluid can turn color and begin to oxidize as early as early as 30,000 miles from just normal operation. Fluid oxidation causes the fluid to overheat and turn color inevitably affecting transmission performance. Regardless of what type of fluid it has. Flushing transmission fluid is not a one size fits all. Make and model as well as driver habits and driving conditions all play a significant part in transmission fluid life. 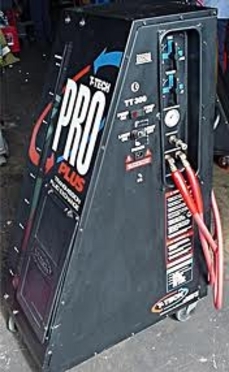 This service done correctly removes harmful contaminates suspended in the fluid caused by normal wear and tear ensuring long trouble free operation. Our goal is to save you time money and stress by using better methods when comes to vehicle maintenance. We use the proactive approach rather than the reactive traditional wait till breaks approach.